I’ve featured this soup before, so what’s so special about it this time? We grew our own Cauliflower! Once you get the basics down, you’ll find lots of ways to make this soup your own. Add vegetables (except tomatoes) to large pot of boiling, salted water. Cover and cook until tender ~ about 15 mins. While the vegetables are cooking, melt butter in a skillet. Whisk in flour, then pour in milk, stirring continuously until it thickens. Stir in spices and cheese, then remove from heat. Pour cheese sauce into pot with vegetables and mash with potato masher, or immersion blender, until it reaches desired consistency. Stir in tomatoes. 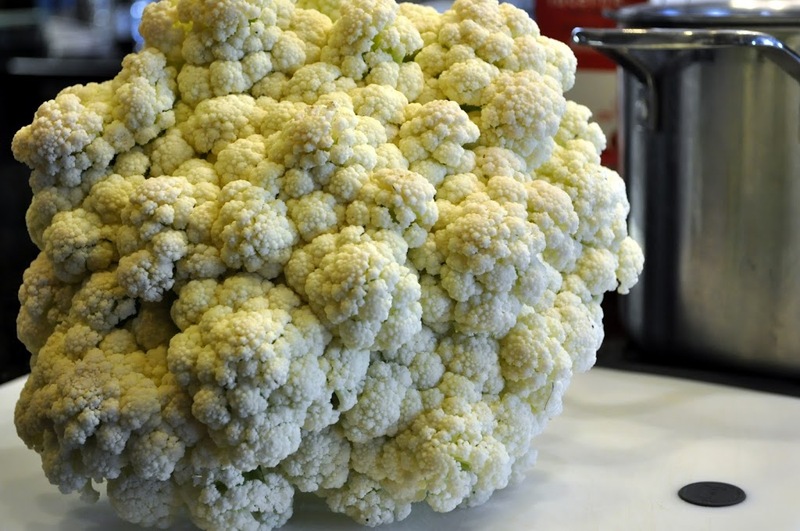 1 ~ Substitute broccoli for cauliflower and leave tomatoes out. 2 ~ Add extra potatoes instead of cauliflower, leave tomatoes out, and add bacon and chives. Susan, this soup sounds wonderful and that picture of the cauliflower deserves some kind of award or a frame and a place on the wall, wow! How rewarding to make a soup from your own cauliflower, Susan. It looks like such a delicious and hearty soup. Perfect for this time of year! Thanks for telling me about the new Baking with Julia group…I just signed up. Looks like fun and good eating! I have the book and am excited to put it to good use. Love your cauliflower…your soup looks great too, but I really love your cauliflower! 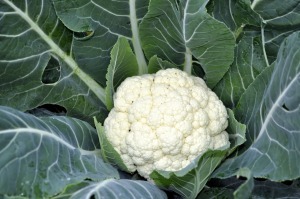 Yummy and healthy – and I can’t believe you grew your own cauliflower. We are deep in the 4 seasons of weather up here in PA and will not be growing anything for quite some time…so I will hit up the grocery instead. And your brioche looked just amazing. I am a fan of bread pudding and was literally drooling at your rendition with the caramel sauce. Amazing ! Oh, my! 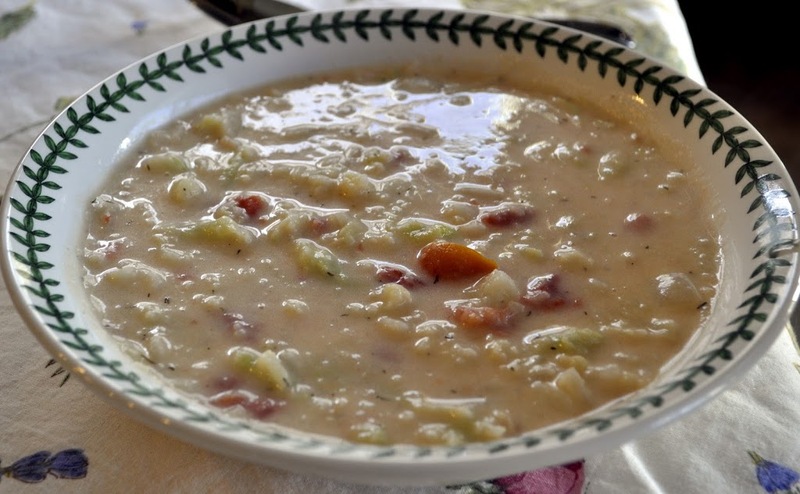 I think I need to make this soup, too….mmmmm. Your cauliflower is gorgeous!